Before competing in the Paralympics, para athletes must undergo a controversial disability classification process to determine which sport classes (categories based on disability type) they are eligible for. 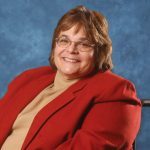 The International Paralympic Committee (IPC) governs this classification process and each country that competes at the Paralympic Games is required to abide by its code. The classification process is intense, in part because of widespread accusations that some athletes fake or exaggerate their disabilities during classification to improve their chances of competition success. The process can also be degrading, according to many Paralympic athletes. 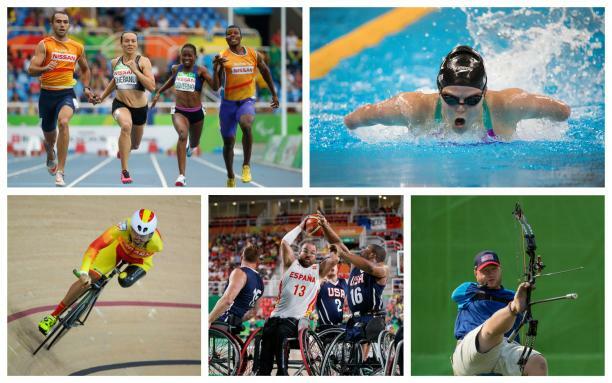 Read more about the controversy surrounding the Paralympics classification process. Coaching at the collegiate level is tough. Imagine how hard it must be to coach at that elite level when you’re blind. 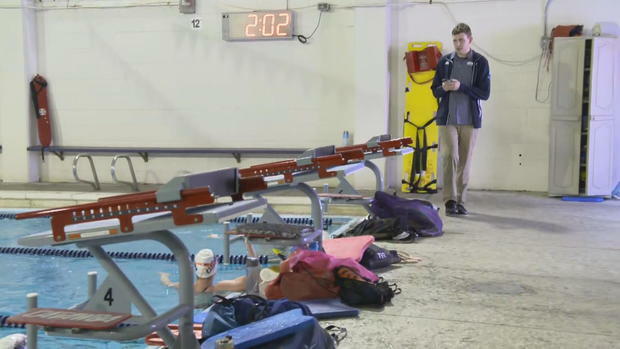 That is the challenge facing the nation’s only blind swimming coach at Catawba College in North Carolina. Listen to his story by Cole Del Charco, WFEA here. Watch CBS News correspondent Mark Strassmann story here. Sled hockey is a sport where people with physical disabilities are able to play hockey with the same rules, but different equipment. Some NHL teams are affiliated with a sled hockey team that adopts their same name and jerseys. 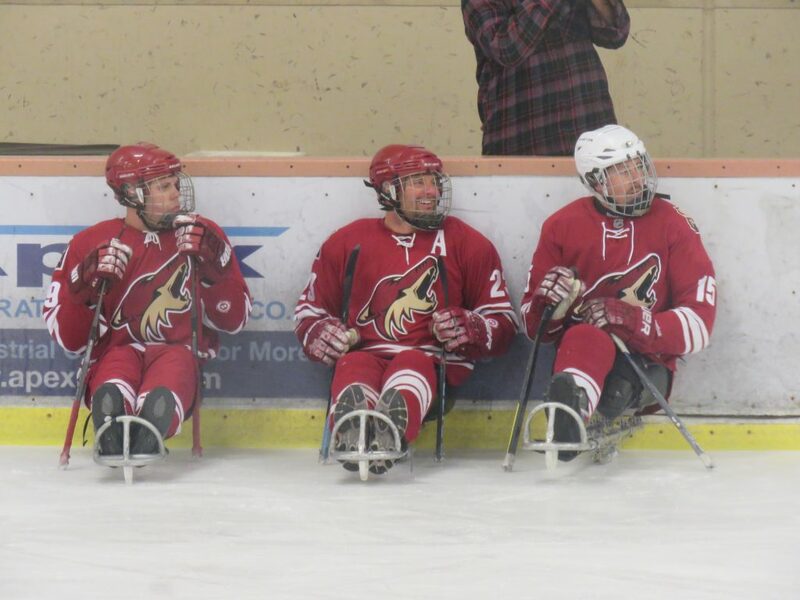 The Coyotes are Arizona’s sled hockey team that play at Alltel Ice Den in Scottsdale, Arizona. “I played pick-up hockey almost every night (in Minnesota) but I did not get to play ice hockey until after I lost my leg,” Mike Schulenberg said, a defensive player on the Coyotes sled hockey team. Schulenberg lost his leg when he was 25. He had battled for 10 years trying to help his leg recover after getting cancer in it when he was 15. He played on the Minnesota sled hockey team for seven years before moving to Arizona and joining their team in 2017. “We used to play against the Arizona team when we were in tournaments when I was in Minnesota so I already knew some of the people, when I moved I contacted them and started skating down here,” Schulenberg said. Sled hockey is played with two sticks, one in each hand, to hit the puck as well as to help the players push themselves forward in the sleds. The sticks are roughly one third the size of typical hockey sticks, the NHL website states. The players sit and are strapped into their sleds which have a blade on the bottom to glide across the ice. The game is played with the same rules as hockey, but the equipment is adapted to let people who can’t use their legs play the game, Schulenberg said. Paul Crane started the team in 2004 and has been a coach as well as a player ever since. “I help look for funding along with others from different sponsors, that’s what helps run the team so we have ice and have travel,” Crane said. Since Crane is both a player and a coach he helps to organize the practices and comes up with different drills that can challenge and advance the skills of the team, he said. In Crane’s 15 years of coaching the team he said that he has seen people join with skill levels from beginner to professional. He said when teaching people the sport, usually the hardest part is teaching them to find their balance with the sled and learning to maneuver using the sticks. “Everybody advances differently, you just have to get them in the sled and get them out there, teach them to push and turn and then puck handling and they go on from there,” Crane said. People of any skill level can join this team whether they have never played before or are a Paralympian. However, only three able-bodied people are allowed on each team, Schulenberg said. 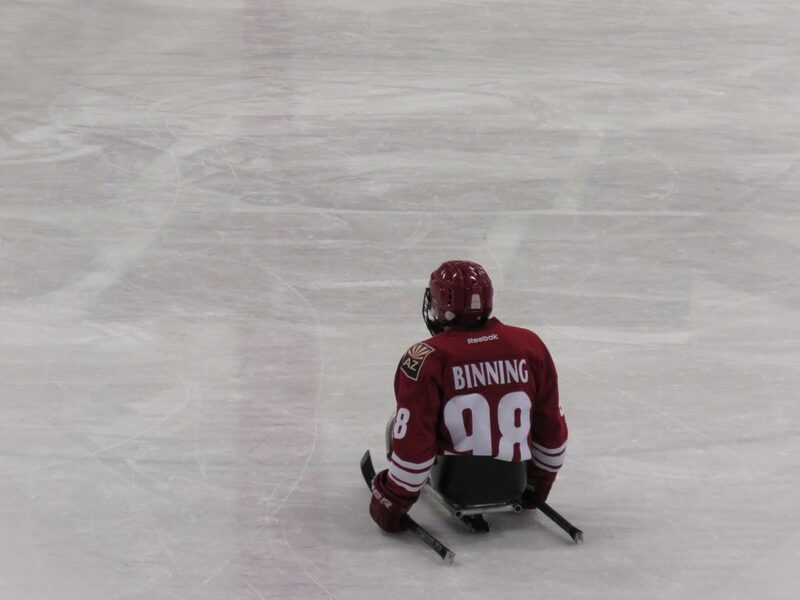 Joe Hamilton is another player on the Coyotes sled hockey team. He said he joined in 2010 when he first heard about the team and had never played sled hockey before. “I picked it up really quick, it’s kind of like monoskiing, it’s all balance and that is the hardest part,” Hamilton said. He said he heard about the team through a friend who knew another sled hockey player. Hamilton went to one of the tournament games that same week and said he joined right away. 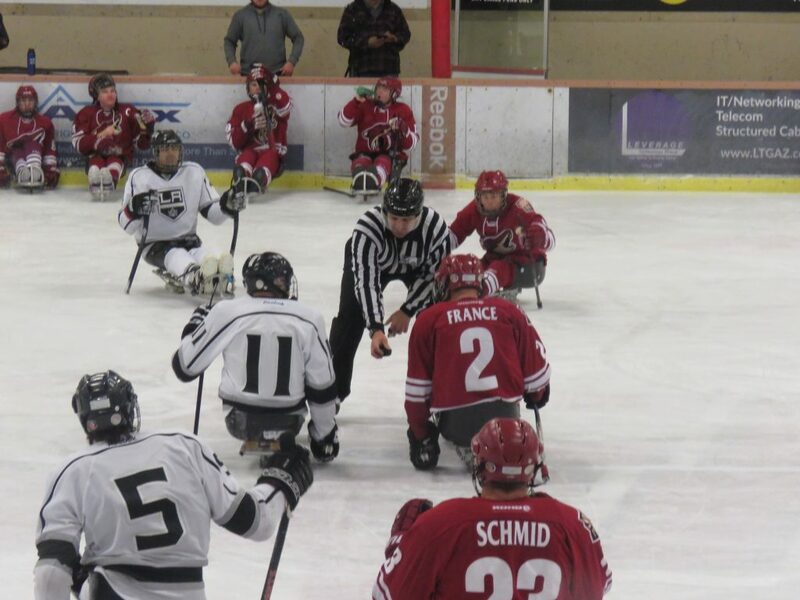 The Coyotes sled hockey won their first tournament game of 2018 on March 2 against the Los Angeles Kings in Scottsdale. Schulenberg said despite some rough weekends trying to win games this season, they hope to advance as far as possible in the tournament and hope to take the championship. The team last won the U.S. championship in 2015. The Coyotes Sled Hockey defensive players waiting to rotate into the game. The puck drops between the Los Angeles Kings and Coyotes. The Los Angeles Kings and Coyotes shake hands following the Coyotes win 10-1. Stephen Binning waiting to be passed the puck during a play. The competition in PyeongChang isn’t over! NBC will air the Winter Paralympic Games on NBCSN, Olympic Channel, NBCSports.com and the NBC Sports app from March 9-18. Coverage begins with the opening ceremony tonight at 6 a.m. ET on NBCSN. If you’d like an early preview check out Ben Shpigel’s report and Chang W. Lee’s glossy photos for the New York Times. Click here to see the schedule of events and broadcast times on NBCSN. 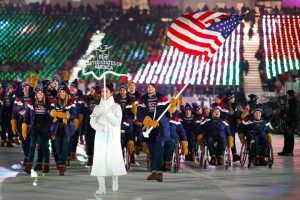 Team USA in the opening ceremony of the 2018 Winter Paralympics in PyeongChang. The International Paralympic Committee announced some interesting changes for the Tokyo 2020 Games. They’ve added two mixed gender relays and are considering adding four new sports: CP Football, Golf, Powerchair Football and Sailing. Click HERE to read more details in the full story from Swimmers World Magazine. The 3rd annual Invictus Games open tomorrow in Toronto, Canada and will feature some of the toughest athletes with disabilities from around the world. The event was created by Prince Harry of the UK and, according to the events homepage, involves “550 competitors from 17 nations” competing in 12 adaptive sports. ESPN today published a photo story titled “We are Unconquered” by Ioana Moldovan about the Romanian national team building tight friendships as they prepared to physically and mentally to compete. Photo by Ioana Moldovan/ESPN. Romanian veteran Laurentiu Serban trains for the 2017 Invictus Games.